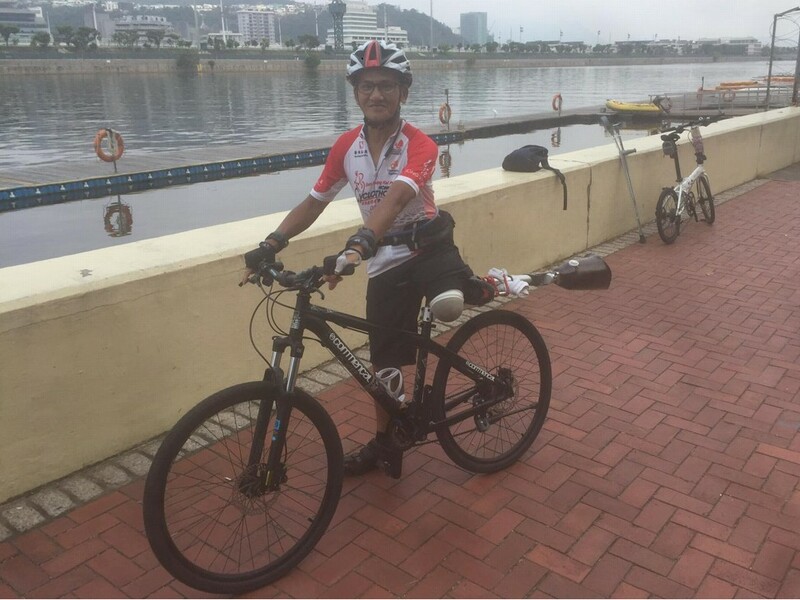 Three amputees taking part in the Sun Hung Kai Properties Hammer Series cycling race around Hong Kong have found that the sport has done more than just improve their fitness. Wu is now in his forties, but lost both of his lower legs when he was just 12 years old in a traffic accident. 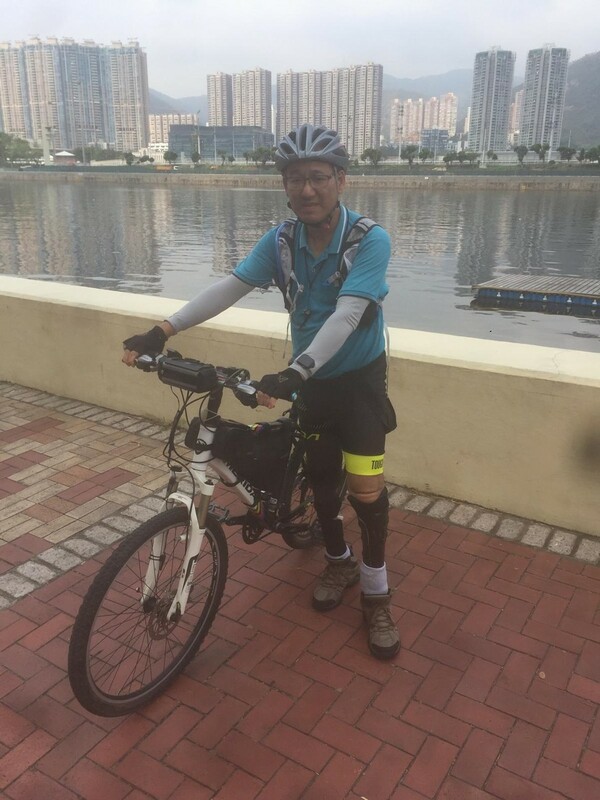 He grew up in Tai Po where he and his friends would cycle everyday until his accident. Wu only began to cycle again last year. “I hope I can be an example to other disabled people to show what I can do and what they can do,” he said. The Hammer Series is a 43-kilometre cycle around Hong Kong. It starts on Salisbury Road, goes past the Garden of Stars and the Space Museum, Mody Road, the Urban Council Centenary Garden and back to the start. They repeat the loop 10 times, or five if they have entered the sprint event. 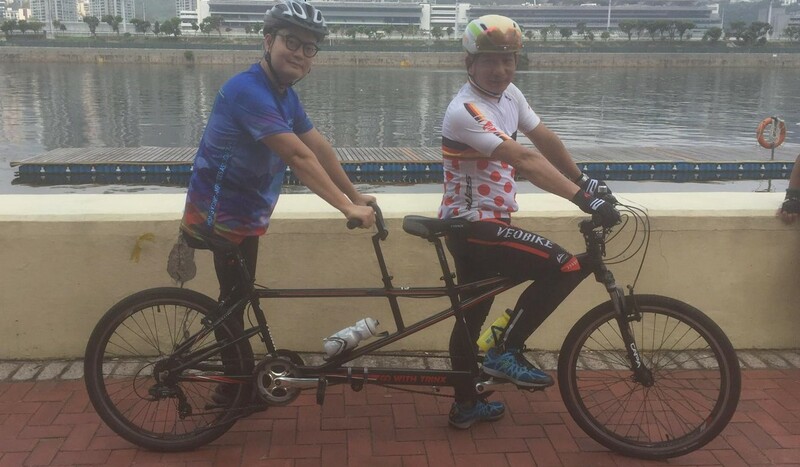 Jeff Wan Nie-ming is riding a tandem. He lost his leg at the hip to a cyst, so although his foot is locked into the bike to allow a full pedal Wan has enlisted the help of another rider while he improves his fitness. Wan also suffers from a heart condition, so decided to pair up to take pressure off his cardiovascular system. “It is more difficult, though. I have to adjust the speed and the rhythm to cycle with the other [person] and I need better communication to understand what I am able to do,” he said, adding that he has more confidence in his daily life since starting cycling last year. Tam Po-hung may have lost his leg from his thigh down, but he still loves to go fast. He finds it challenging to reach the speeds he aims for but has been improving since he started to cycle. After the Hammer Series, Tam wants to go on and cycle around Taiwan.